Sinema’s Bottomless Brunch provides a new experience for your favorite weekend social endeavor. Order a few dishes from our a la carte menu, then visit the market stations set throughout our two-story historic theater while a classic Hollywood movie plays on the big screen. Entering the Art Deco lobby you’ll find the Bottomless Bloody Mary & Mimosa Bar to your left, full of hot sauces and pickled additions for your bloody mary and a variety of juices for your mimosa. 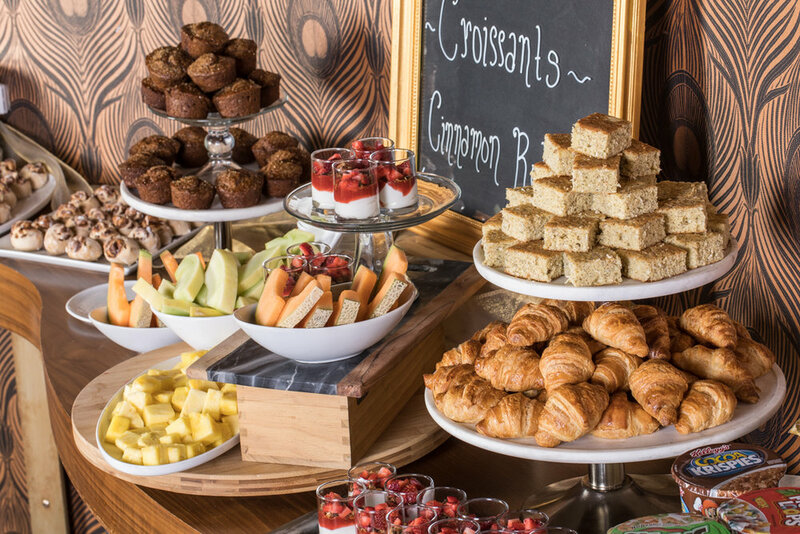 Nestled against the grand staircase is our Patisserie and Fried Chicken & Biscuit Bar, featuring an overflowing selection of homemade sweet and savory treats, biscuits with jams, spreads, and gravies. In the main dining room is where you’ll find the Usual Suspects—scrambled eggs, bacon, sausage, home fried potatoes, and brown sugar baked ham. Here you will also find the Panini & Salad Station, featuring hot off the press seasonal selections. Previous offerings have included ratatouille caprese presses, reubens, cubans, and grilled cheese sandwiches along with a Chef's salad of the day. Up the grand staircase to the balcony, the live-action Waffle Bar features a variety of build-it-yourself waffles & toppings. 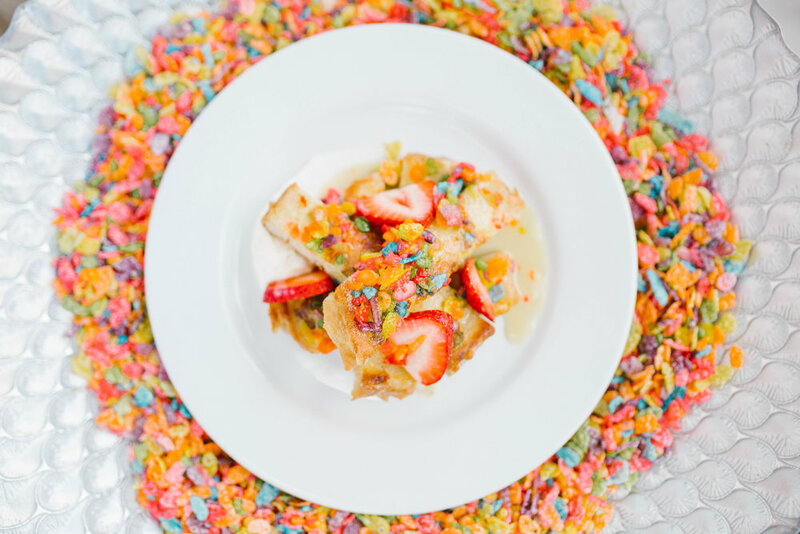 The Waffle Bar allows you to customize your creation with a variety of syrups, fruits, candies, & sweet offerings sure to satisfy. A second Bottomless Bloody Mary & Mimosa Bar is located in our Lounge bar. Also included with the Bottomless Brunch are unlimited Kitchen To Table items (listed below). Sinema's Bottomless Brunch is $28 per person. Children ages 6-12 are $12. Children 5 & under are free. A La Carte items are an additional charge. Bottomless Bloody Marys & Mimosas are $15 per person. Reservations are highly recommended. Walk-ins are limited and not guaranteed. Walk-ins not accepted on Holiday special brunches. Please call (615) 942-7746 or visit Open Table to make a reservation. The weekends of April 20th, 21st & May 11th & 12th Sinema will be hosting it’s annual elevated Holiday Brunch. This buffet will offer all the best of our famous Bottomless offerings, with lots of extras! Previous years have included a live-action carving station, smoked salmon & bagel bar, and holiday inspired pastry & confectionery station. $35/adult, 5 + under eat free. No a la carte menu will be offered. Brunch will never be the same again. Every Saturday & Sunday, enjoy bottomless mimosas with a choice of orange, grapefruit, or cranberry juices. Customize your bloody marys with a variety of hot sauces and accoutrements. Or have one of each--we won't judge. Only $15 per person.